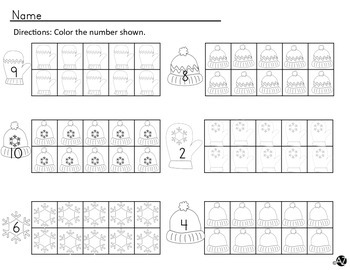 This activity includes two pages of number coloring fun! 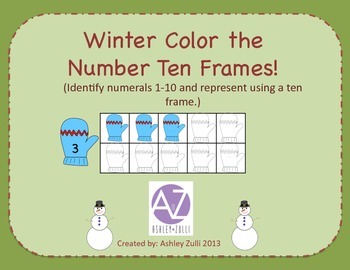 Students color the designated number of winter hats and mittens inside a tens frame. This activity is great for reviewing numbers, and also makes an excellent math center activity.